Free Ground Shipping. Usually departs warehouse in 4 business days. Ships from California. 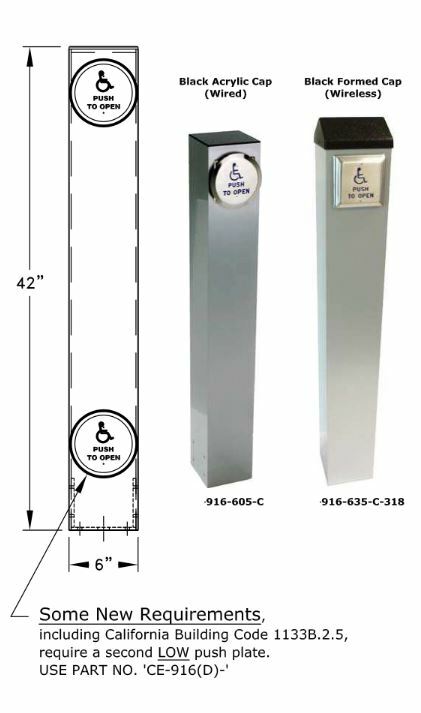 This 6″ Square Aluminum Bollard Access Post with push plate, powder coat and internal mounting base allows you to place your actuator in the most convenient location. Ensures that actuator is always easily accessible. The item is of high quality, and works as specified. The client is very pleased with it. The installation was very simple.